The Harlem Globetrotters, the most storied sports and entertainment franchise in the world, will bring their talents to a different stage on April 26. As part of the American Red Cross' annual Giving Day, the team will participate in a charity game to benefit and bring awareness to fundraising efforts for disaster relief. The charity game – to be played at Kailey Gymnasium at Miles Community College in Miles City, Mont., tipping-off at 6 p.m. – will have all proceeds going directly to the American Red Cross. All tickets are $20, and can be purchased online at www.ticketweb.com, or at the Miles Community College Business Office. The game will also feature a unique twist, specifically-tailored for the American Red Cross. 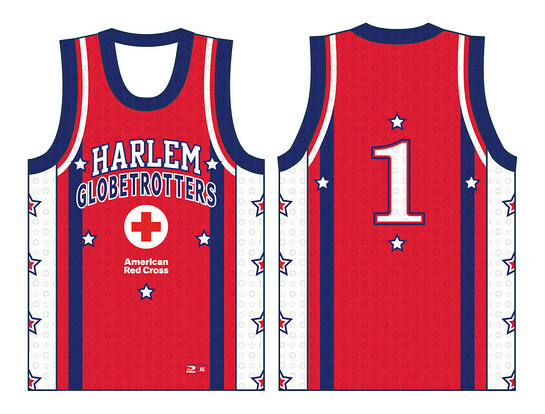 Globetrotter players will sport custom-designed, one-time-only red jerseys in the motif of the American Red Cross. From the jerseys – only the third time in history that the Globetrotters will don a uniform other than the traditional red, white, and blue – to the red-and-white ball, the charity game will draw awareness to Giving Day activities. The Globetrotters will also be encouraging fans to donate to the American Red Cross, by texting “90999” at any point during April 26. The American Red Cross joined forces with the Harlem Globetrotters in December 2016, becoming the team’s official charity partner through its Great Assist initiative – helping communities across the country prepare for, respond to, and recover from disasters of all kinds. Additionally, the Globetrotters will also be making the push to raise awareness for Giving Day across its social media platforms, replacing its Twitter, Facebook, and Instagram avatars with the Giving Day logo. On those three platforms alone, the Globetrotters have more than 1.5 million followers, providing a major platform to bring Giving Day efforts to a greater audience. The Globetrotters will also be encouraging fans to use the official Giving Day hashtag, #Help1Family throughout its social channels. The Harlem Globetrotters are legendary worldwide, synonymous with one-of-a-kind family entertainment and great basketball skills for the past 90 years. Throughout their history, the Original Harlem Globetrotters have showcased their iconic talents in 122 countries and territories on six continents, often breaking down cultural and societal barriers while providing fans with their first-ever basketball experience. Proud inductees of the Naismith Memorial Basketball Hall of Fame, the Globetrotters have entertained hundreds of millions of fans – among them popes, kings, queens, and presidents – over nine thrilling decades. The American Red Cross is the official charity of the Harlem Globetrotters. 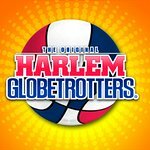 Sponsored by Entenmann’s Donuts , Ticket Galaxy and Baden Sports, Harlem Globetrotters International, Inc. is a wholly-owned subsidiary of Herschend Enterprises, the largest family-owned themed entertainment company in the U.S.